We’d love your help. 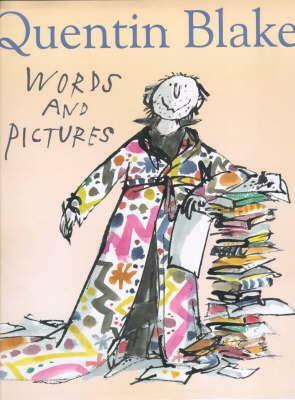 Let us know what’s wrong with this preview of Words and Pictures by Quentin Blake. Quentin Blake's illustrations have delighted both children and adults for over 30 years. He is recognised by his contemporaries as the master of his art, and his work is to be seen in children's books, on book jackets, magazines, cartoons and advertisements all over the world. To ask other readers questions about Words and Pictures, please sign up. I hugged the book when I finished it. Even before I got my grubby little hands on this book I knew Quentin was my role model. After reading it, I am more inspired than ever! His honesty and humour reflect perfectly through his illustrations, and his ability to bring a story to life through pictures is fantastic. For die hard illustrator appreciators, give this book a go! Iv just finished reading this book - all 205 pages! it only took me two days and is well worth the read. 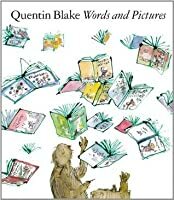 Quentin Blake is an amazing illustrator and in this book loves to talk about his work. I've always liked Blake's illustrations and when I read about this book I decided to borrow it. I wasn't disappointed. Blake was educated at Chislehurst and Sidcup Grammar School. His English teacher, JH Walsh, influenced his ambition to become involved in literature. His first published drawing was for the satirical magazine Punch, at the age of 16. He Quentin Saxby Blake, CBE, FCSD, RDI, is an English cartoonist, illustrator and children's author, well known for his collaborations with writer Roald Dahl.